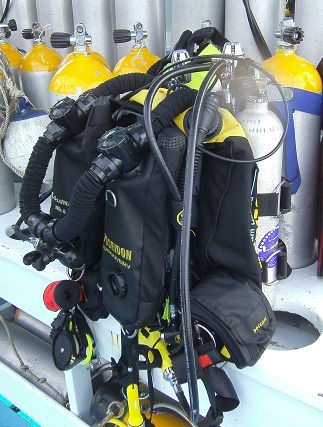 what is poseidon mkVI or SE7EN rebreather? Poseidon Mark 6 or MKVI is worlds first fully automatic Rebreather designed for Recreational diving to increase divetime. It is easy to use, all you need to do is "plug and dive". You assemble it and Mark 6 does pre dive checks automatically - you just need to verify everything is correct. SE7EN is newer version of this technology, ready for Technical Rebreather Diving. I teach Poseidon MKVI in Olüdeniz, Turkeu and in Finland. ”Traditional”, open cirquit regulator only uses breathing gas once and lets rest of that gas out into water as you exhale (as bubbles). Traditional breathing in a way ”wastes” breathing gas and does not use it effectively). But who cares, it is still fun under water and you can see many things. One stays under water for longer period someone other for a shorter time. 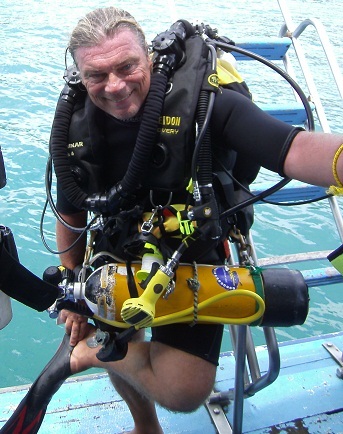 Rebreather uses same breathing gas for several times. 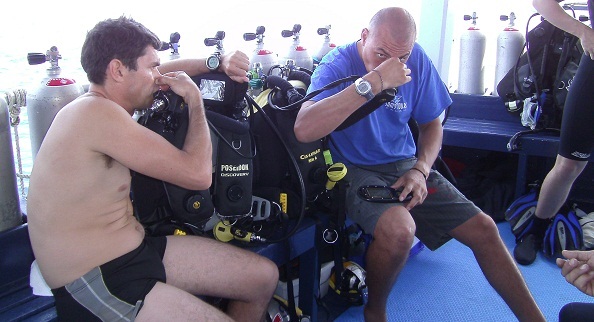 Breathing apparatus has got extra lungs from which diver breaths and into which he exhales. Body only uses about five percent of usable oxygen (21%), so using breathing gas again is economical and increases dive time. Your exhalation gas goes into exhale lungs and gas travels through carbon dioxide canister that eliminates extra carbon dioxide. Then system adds a bit of oxygen so that PO2 of mixture is breathable for depth. Poseidon Mark 6 does sets PO2 automatically into 1,2 ATA when depth is creater than 12 meters. This is called as ”floating set point”. It also optimizes nitrogen intake and increases bottom time. Obviously one does need to remember that increased bottom time increases nitrogen intake. In practice what limits dive time is carbon dioxide scrubber that is pre packed in factory. All you need to do is plug it in and go diving. Naturally you need to let machine do pre dive tests before you hit the water.